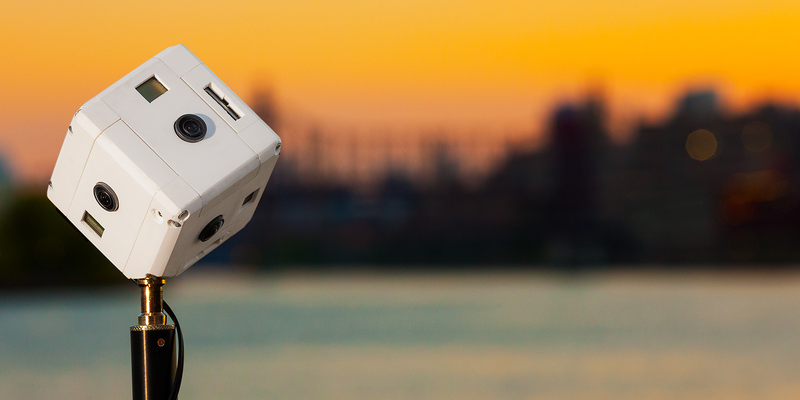 Introducing the worlds first fully spherical (360×180 deg) portable video array camera. The 360 rig allows to record 6 individual videos with sound, which can be stitched on your computer with the software of your choice into a fully spherical (equirectangular) video stream. The revolutionary feature is the lack of a nadir blind spot, allowing you to film freely with the 360 Rig, ideally on a light-weight mono-pod, or similar devices. All specs and features are subject to change. The 360 Rig is currently in the prototype stage, and there are a limited amount of prototypes available (no warranty). The current lack of a complete software workflow to process the 360s makes it necessary that you are very competent with PTgui or Kolor Autopano panoramic stitching, including modifying a stitching template, and running the batch stitcher. The workflow situation will hopefully be resolved in Summer 2012. Contact me if you need a commercial 360 video shot, or if you want to talk about a specific project. How much? Send You it worldwide? Hello and great job you did with this product. I am interested in getting a sample, promotional material and details for distributors. I can cover Romania and Bulgaria if you need. Fascinating! Please keep me posted with publicity that might not be appropriate for the PanotoolsNG list. You need 7 Gopro Hero2 cameras to get a reasonable stitch – especially with stills. The 360 Rig only requires 6 shots or videos to stitch a full 360×180 degree equirect. I would very much like to know if this rig can also shoot HDR’s? what size and kind of sensor does it have? Can the lens, ISO and shutter be independentantly controlled? Please keep up us posted on the tech and specs as it evolves. How much is gonna be ? Great work, congrats! Please send me information, price details, etc. I am also interested in marketing in Latin America. Has the workflow been streamlined? Are Kolor or another vendor working on a video stitching solution?